Quaint, cozy, and the perfect place to entertain, the cottage garden has been a sought-after feature in homes across the country for many years. When you see a perfect photo of a colorful, lush, and private cottage garden, this may seem like an unattainable feature. How could you possibly turn your plain backyard into such a romantic landscape? If you've always wanted a cottage garden, take inspiration from these landscape and hardscape ideas, which a professional hardscaping company can easily install in your backyard. Experts of landscape design and hardscape in Johns Creek recommend these designs. The cottage garden as you may be picturing it hearkens back to the eighteenth century, when well-to-do British landowners took inspiration from quaint food gardens--planted by poorer folk out of necessity--and fashioned them for their elegant yards. A blend of the proud regal garden and the functional, edible garden, the cottage garden has always been ideal for both entertaining and relaxing privately on your own. They typically blend multiple types of flowers, herbs, and edible plants in a naturalistic layout, free from neat patterns and giving the impression that a cornucopia of plants has simply arrived there by miracle of nature. Hardscape design features, like stone paver paths and sunny patios, are also a must. 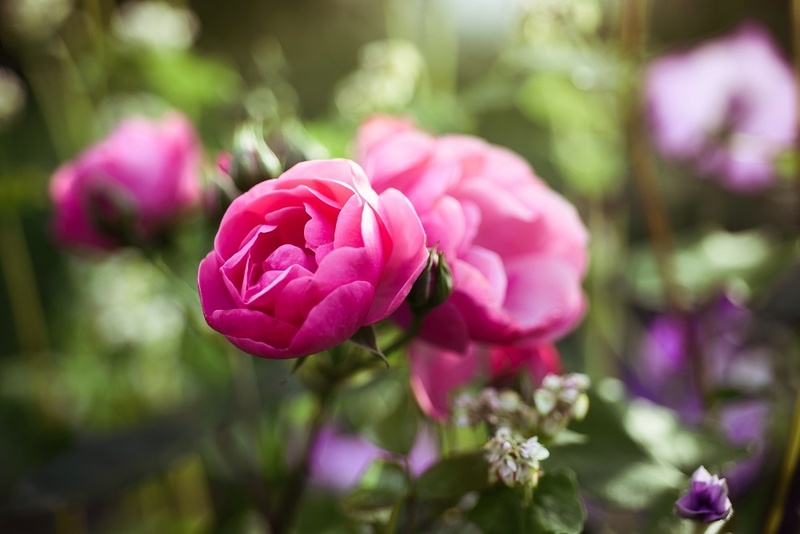 If you want to give your garden a passionate flair, focus on red, pink, and purple flowering plants, as well as rose vines, which you can fashion over pergolas or archways. Focus your hardscape design on natural stone paths wide enough for two to stroll through the garden. Enclose your garden with a white privacy fence, a more secure alternative to the classic white picket fence. Then plant wisteria vines and tall shrubs like cypress to enclose your garden. Only those lucky enough to visit your home will get the chance to view the splendor of your garden. Set a path of stone pavers to walk under the boughs of shady trees. Give your garden some personality and entertainment potential with whimsical features, including moss-covered rocks, stone finials, sunflowers, a bubbly pond, and a large brick porch. Set out plenty of seating for your guests, and even some entertaining focal features, like a fire pit or a jacuzzi tub. Reflect on times past, when people lived off the land they occupied. The edible garden is a wonderful feature that will make you very popular in the neighborhood. An orchard of citrus trees, lettuce bushes, pepper plants, and a long line of herbs flanking the porch and sidewalk will make your garden the tastiest feature of your home. So how should you start your garden design? It's simple: get in touch with Stoeckig Landscape Group, the experts in landscaping and hardscape in Johns Creek. Learn how to make the best of your yard's views, soil quality, space, and more. Then, customize a design around your existing plant life, or start from scratch. 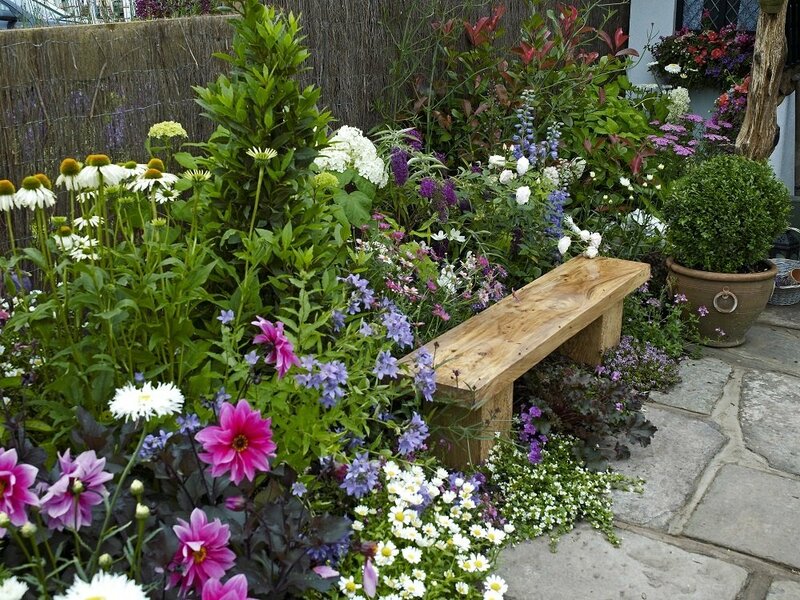 Whatever your goals may be, even if a lush cottage garden appeals to you, a hardscaping team can design and install the garden of your dreams.